The Report has been written by Cardno, an Australian firm who also work for the Mining Industry, including Newcrest and Harmony Gold in PNG, and AusAID! Good to see no potential conflicts of interest there! 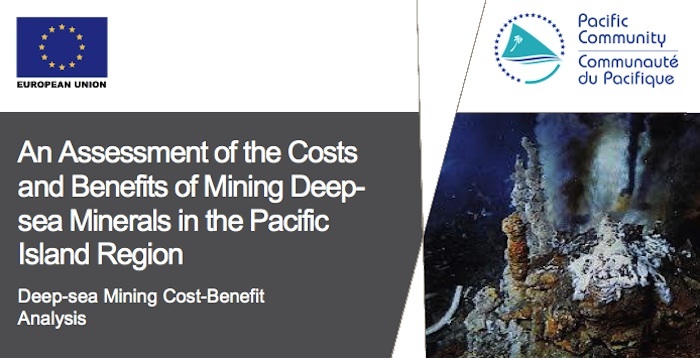 Various scenarios for mining deep sea minerals in the waters of three Pacific Island countries are assessed in a cost benefit analysis report commissioned by the Pacific Community (SPC) and the European Union.